In fact, the bug has been around ever since the iOS 11 beta days, but for whatever reason, it appears to be blowing up on social media all over again. The bug itself is an easy one to reproduce and will result in a relatively short sequence of button presses causing the app to get confused. For example, entering 1 + 2 + 3 and then the “=” sign should normally result in an answer showing 6, but if you happen to press the buttons a little too quickly, you’ll actually get something different – often 24. Why? Well, it’s all down to animations. 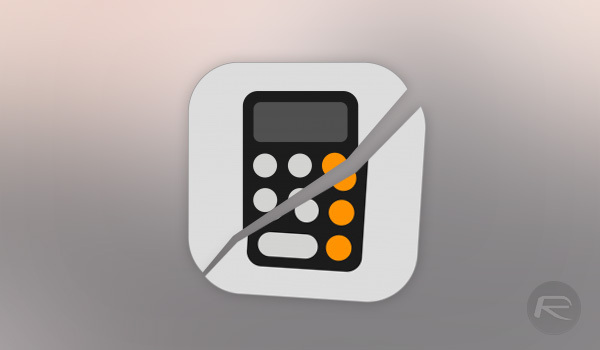 Apple’s stock Calculator app lights buttons up when they are tapped, and if you tap too many in quick succession, you will find that some taps fail to register. This happens because button presses do not register until a previous animation completes, meaning anyone tapping away too quickly will fall foul of the bug, receiving an incorrect answer as a result. Interestingly, it would appear Apple is aware of the issue after Apple employee Chris Espinoza tweeted that over 70 bug reports have already been placed regarding the issue. Quite when Apple will get around to fixing the issue remains to be seen, but in the meantime, using a third-party calculator app such as PCalc should see you right. You’re title is wrong. It’s not displaying the wrong answers, it’s just not registering the second “+” properly. Technically, 1+23=24 is correct. Yes, but its a bug not registering the second “+”. The workaround is just type at normal speed, not too fast. Security fixes are more important than fixing some crap code an intern wrote.